CanadaVisa has partnered with SchoolMatch Canada to provide you with a FREE assessment to show you which Canadian schools match your expectations, personality and goals. Using research-based advanced algorithms, SchoolMatch Canada has helped thousands of students find the right university and college in Canada. A Canadian post-secondary education is not only valuable from an educational and career point of view — it is also a popular route to Canadian permanent residence. To learn more about education as a pathway to permanent residence, take a look this page: Studying in Canada: A Pathway to Canadian Permanent Residence. as mentioned above, become eligible for Canadian permanent residence, either through a Provincial Nominee Program (PNP), through Quebec's immigration system, or through the Express Entry immigration selection system. 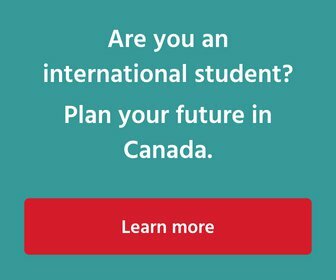 The information, tools and resources linked from this page are designed to help you make an informed decision about your future as an international student in Canada. In the event that you remain unable to find the information you are looking for, however, you are encouraged to contact us with your query.